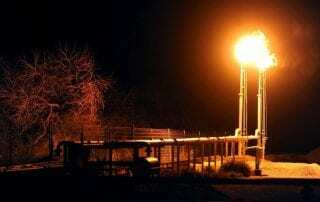 For 300 million years faults showed no activity, and then wastewater injections from oil and gas wells came along. Study authors took a different approach in the new work — they hunted for deformed faults below Texas. 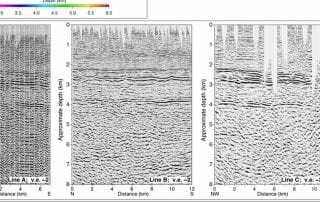 The Washington Post covered the landmark earthquake research of a team of SMU geophysicists led by SMU Associate Professor Beatrice Magnani in the SMU Department of Earth Sciences. Study by Beatrice Magnani, USGS and other SMU scientists shows recent seismicity in Fort Worth Basin occurred on faults not active for 300 million years. 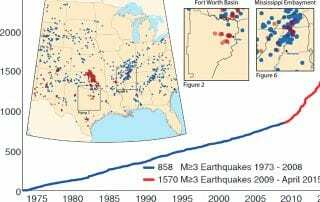 In an article contributed to The Dallas Morning News, science journalist Anna Kuchment covered the research of SMU seismologists on a possible explanation for the spate of earthquakes in North Texas in recent years. 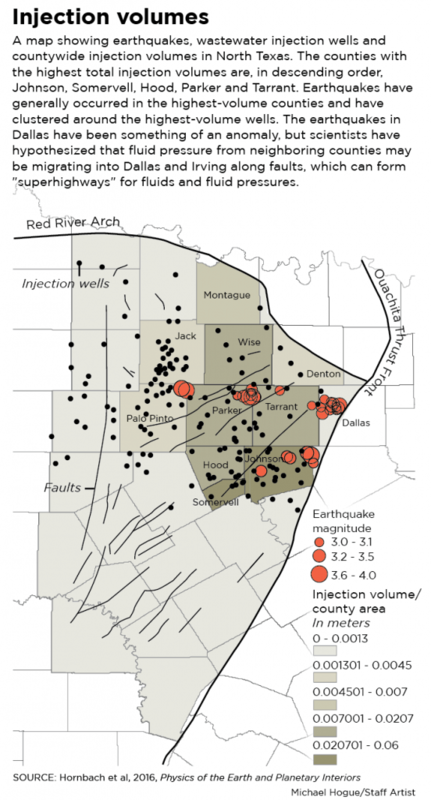 The study, Ellenburger wastewater injection and seismicity in North Texas, posted online July 17 in the peer-reviewed journal Physics of the Earth and Planetary Interiors. It is the first scientific work to offer an explanation for the Dallas and Irving quakes, Kuchment notes in her article, "Scientists offer possible explanation for how oil and gas activity may have triggered Dallas earthquakes." Science journalist Anna Kuchment with The Dallas Morning News covered the research of SMU seismologists on the historical record of North Texas earthquakes and their causes. The SMU seismology team on May 18 published online new evidence of human involvement in earthquakes since the 1920s in the journal Seismological Research Letters. 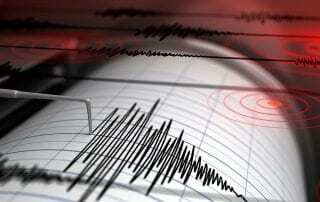 The study found that human-caused earthquakes have been present since at least 1925, and widespread throughout the state. While they are tied to oil and gas operations, the specific production techniques behind these quakes have differed over the decades, according to Cliff Frohlich, Heather DeShon, Brian Stump, Chris Hayward, Mathew J. Hornbach and Jacob I. Walter. 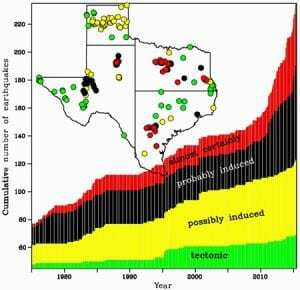 Earthquakes triggered by human activity have been happening in Texas since at least 1925, and they have been widespread throughout the state ever since, according to a new historical review of the evidence publishing online May 18 in Seismological Research Letters. The earthquakes are caused by oil and gas operations, but the specific production techniques behind these quakes have differed over the decades, according to Cliff Frohlich, the study’s lead author, and co-authors Heather DeShon, Brian Stump, Chris Hayward, Mathew J. Hornbach and Jacob I. Walter. 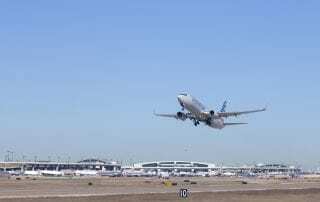 The United States Geological Survey (USGS) today released maps showing potential ground shaking from induced and natural earthquakes, including forecasts for the DFW metropolitan area. 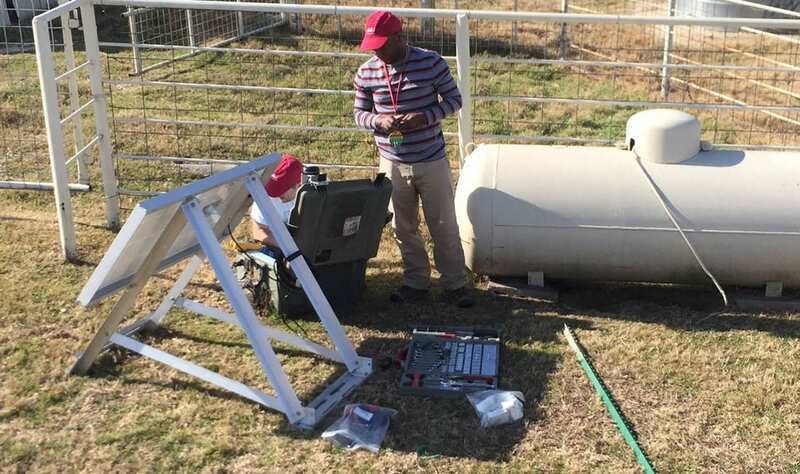 The North Texas Earthquake Study at Southern Methodist University provided data, and SMU scientists co-authored peer-reviewed publications cited in the report.